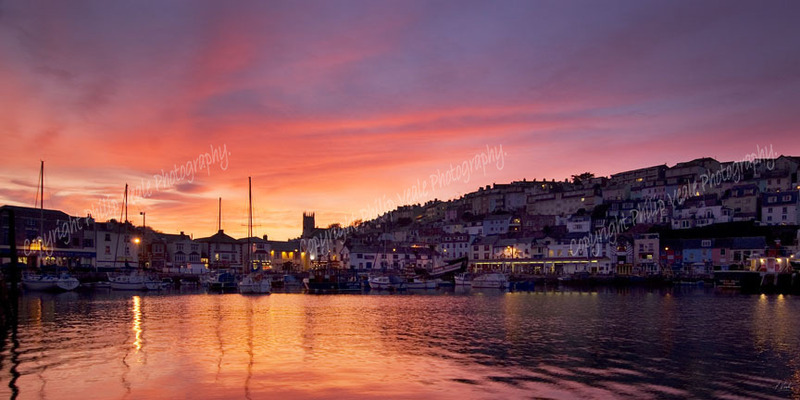 Philip Veale Photography: Sunset, Brixham Harbour. Limited Edition of 100. Sunset, Brixham Harbour. Limited Edition of 100. A stunning sunset over Brixham Harbour in Devon which has a replica of the historic ship the Golden Hind anchored in the marina.